This is turning into a yearly repost due to the Christmas festivities that are going on at this time. I hope you enjoy it again. This was on the radio on Christmas Eve last year. Punta Gorda is a boating town 5 minutes away from me. 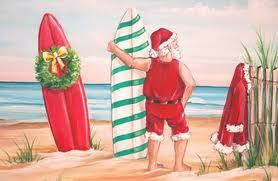 Merry Christmas to all …. Categories: Art, Photography, Poetry | Tags: Christmas Eve, Florida Christmas, Florida Christmas Poem, love, Merry Christmas, PHOTOGRAPHY, poem, santa, T'was the Night Before Christmas | Permalink. 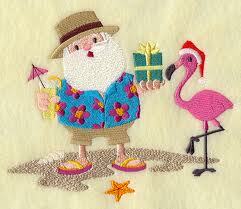 Santa in the Tropics, huh? I always wondered how he handled his sleigh on sand and concrete. Now I know. 🙂 I do hope your Christmas WAS Merry. Thanks for the grins and the sunshine.